Hypalon® (the former DuPont brand name for chlorosulfonated polyethylene or CSM) is an ozone resistant synthetic rubber that is resistant to oil, weather exposure, color change, heat, flame and flex fatigue. Hypalon® is a synthetic rubber used to waterproof a fabric substrate for a variety of outdoor end use applications. 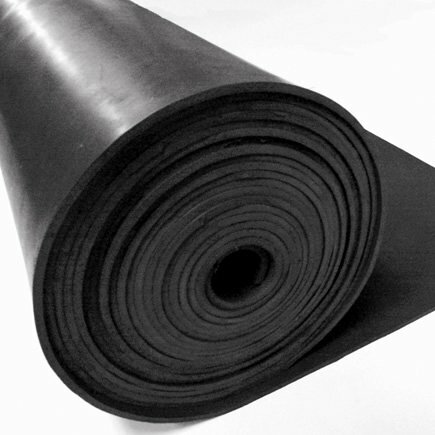 As an industrial cover or jacketing material it provides excellent abrasion and flex fatigue resistance. It’s a great choice for dock seals and other outdoor applications. CSM’s can be compounded to provide excellent flame and oil resistance as well as resistance to weather, ozone, and oxidizing chemicals. Thermodyn Global Sealing offers Hypalon® Rubber Sheet in a variety of gauges to meet your demanding applications.